Have you ever dreamt of working in TV? Perhaps writing scripts, filming the action – or shouting ‘Cut!’ from the director’s chair. Perhaps you watch Country File or Top Gear and wish you could present your own programme. You’d think a career in marketing communications would involve quite a bit of film production. Yet in my 25-years in the industry – including four in an ad agency – I’ve never had the opportunity even to get on set. Until now. A few weeks ago, a call came through from one of Mustard TV‘s producers, Tom Vince. We’d met in June when he was filming corporate videos for the Norwich Research Park. 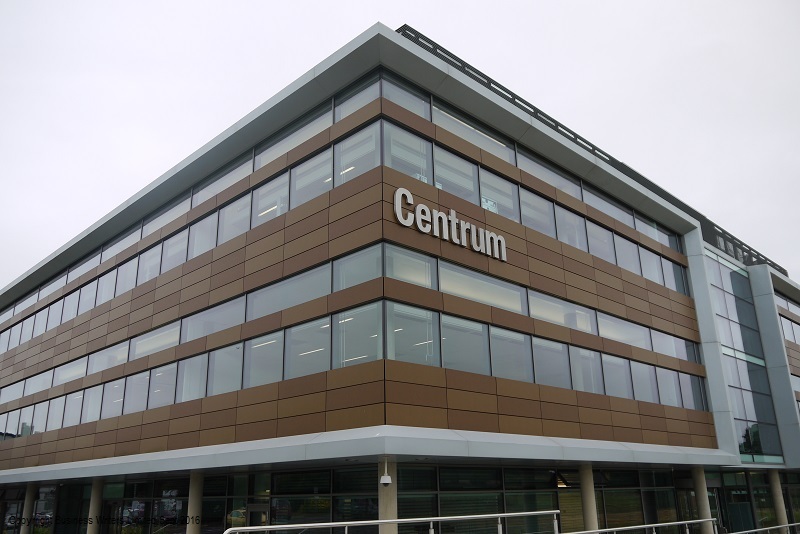 I had a bit-part talking about local business networks and why I liked using the Centrum for meetings (free parking, free WiFi, comfy seats and a lovely setting). The filming went quite well and Tom asked if I’d like to do some presenting. Always being keen to learn – I said yes. Now here he was pitching an idea to me for six TV programmes about the #DynamicEast. How could I resist? If you follow me on social media, you’ll know one of my passions (along with writing and eating) is championing talented and creative people in our region. Whether they are scientists, engineers, tech gurus, designers, artists, or artisan food and drink producers, I enjoy hearing and sharing their stories. Tom was offering me the opportunity to interview some of those who are driving economic growth across our region. The people who work in our most dynamic business sectors: agri-tech, advanced manufacturing, renewable energy, digital technology and life sciences. Innovative thinkers and tech savvy entrepreneurs – including people tackling the big global challenges of feeding a growing population and combating climate change. Our challenge is to make six films – each one six to eight minutes long – in just six weeks. Broadcasting must start in the w/c 26 September for the series to run up to the EDP Business Awards in November. Our first step was to come up with some rough scripts and potential interviewees. Tom is one of those great people to work with – the sort who give you confidence when you doubt yourself. I’d never written a script in my life but Tom gave me some sound advice – just tell a simple story (and think of possible visuals). It helped that we had a clear aim – to dispel the notion of the East as a sleepy backwater. I started thinking of all the high tech, high skilled businesses across the region I’d like to visit. I wanted to find out how they were building on our industrial heritage and boosting the UK economy. But I also wanted to know about the opportunities they were creating for the next generation. Who would you like to talk to? I had my list – and it was long one. In the event I had to leave many interesting people out (perhaps we’ll get to speak to them in a future series). Thankfully Tom and the programme sponsors, Norse, liked the rough ideas and the draft scripts. And virtually everyone I contacted was keen to take part – although a few just couldn’t fit in with our schedule. Nevertheless, we were ready to start filming straight after the August bank holiday – not bad going for a beginner. It’s now Sunday 4 September and we’ve completed our first week of filming. 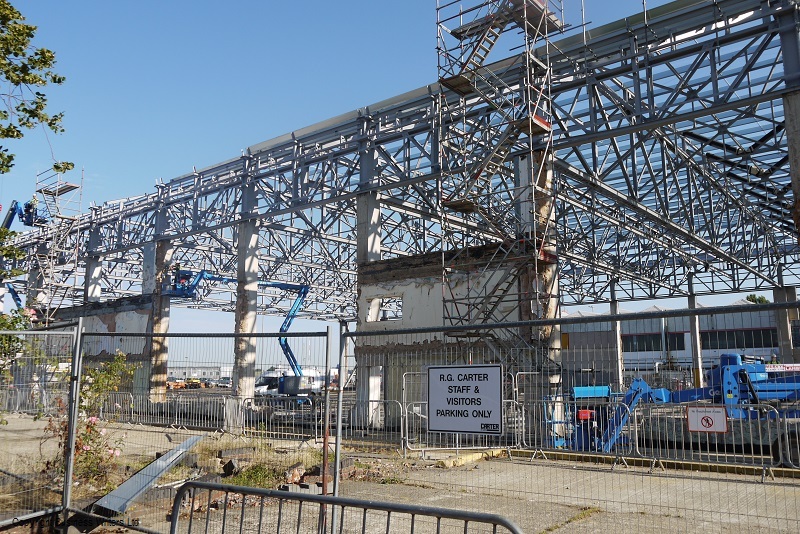 Tuesday we visited the new Aviation Academy, being built next to Norwich International Airport. Then the Hethel Engineering Centre, where we met the teams from Ansible Motion (Sci-fi geeks will like that name) and Extremis Technology. We spent Wednesday and Thursday lining up more visits for the following two weeks. In short, lots of phone calls and explanatory emails – as well as adjustments to scripts. I’ll tell you more once they are ‘in the can’. 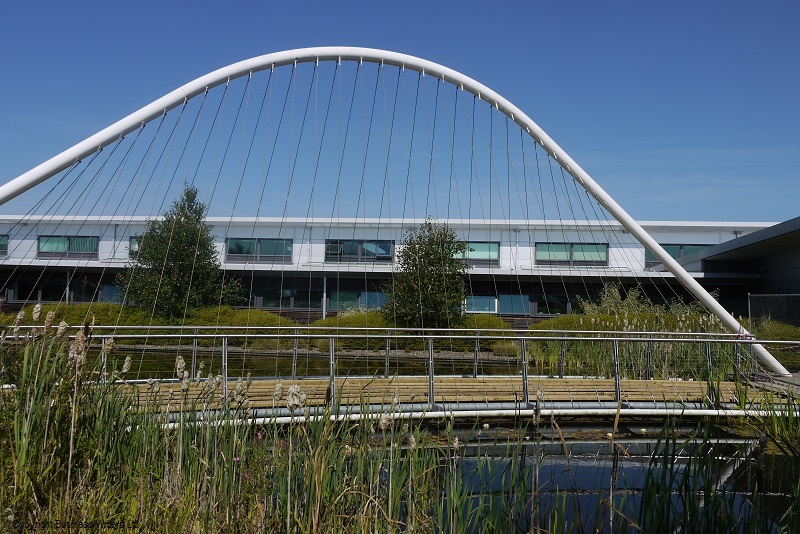 Friday saw us interviewing a number of people connected with the Norwich Research Park. These included scientists from the John Innes Institute and the Earlham Institute (previously called TGAC), as well as Dr Belinda Clarke from Agri-Tech East. Thank you to the Centrum team for your hospitality – and much needed coffee. Most of the time I’m not in shot (sighs of relief all round). Instead we focus on the interviewees. However, I have done a few pieces to camera. It turns out these are trickier than they look. For a start, there is no teleprompter. You have to know what you want to say – but then say it so it sounds natural, rather than scripted. You also have to remember not to shout – although the camera is two or three yards away, you are wearing a microphone. Thankfully the camera crews are understanding – and patient (“Take 5“). We’ve got another two weeks of filming to go – with quite a bit of driving – including a trip to the Innovation Martlesham tech hub in Suffolk. 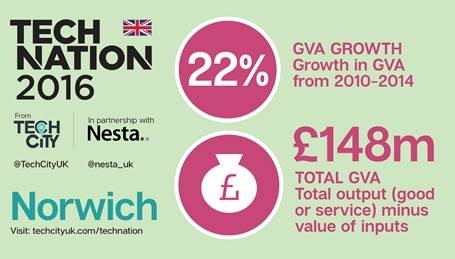 We’ll be speaking to members of the Norwich Tech community and visiting one of the greenest buildings in Europe (right here in Norfolk). I’m hoping to find out about vertical farming, renewable energy and sports cars – among other things. It’s going to be a fun, challenging and immensely rewarding experience. I hope you all enjoy the results. Watch this space for updates – and confirmation of the broadcast times. UPDATE: Mustard TV will broadcast Episode 1 of #DynamicEast at 19:30 on 28 Sept (then weekly).